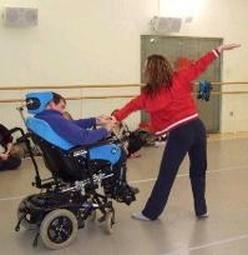 Movement experiences are fundamental to the development of all human beings and are particularly important to people with special needs. The input or ‘feeding in’ of movement experiences has to be concentrated and more continuous if people who are challenged in special ways are to realise their potential. Sherborne Developmental Movement is an approach to teaching and working with movement that is both accessible, especially by people with minimal movement experience, and yet relevant at a very sophisticated level, particularly to people with a background in P.E or dance. This approach based on the philosophy and theory created by Rudolf Laban (Pioneer and founder of Modern European Dance and movement analysis) was devised by Veronica Sherborne after having worked closely with Laban for 2 years. Her approach to teaching movement is firmly rooted in both observation of how children play in the normal course of their development and then grounding these observations in the philosophy and theory of Laban’s movement analysis. This is gained through movement experiences that help the person concentrate so that they become aware of what is happening to their body, listening via touch and by feeling of inner physical sensations rather than by our usual way of looking and thinking. This helps lessen self-criticism and allows people to grow in terms of self-esteem and confidence both a physical and emotional level. The next step is to begin to learn to move around and interact with others in ways that encourage the further development of trust and the building of positive relationships. 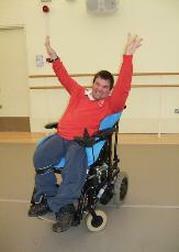 These movement experiences enable the person to be appropriately supported while being encouraged to explore their unique creativity through shared movement activities.